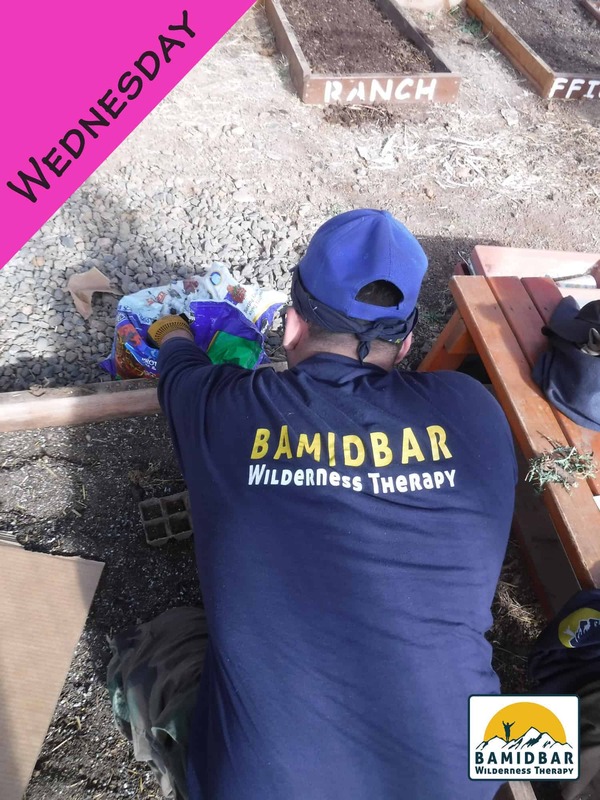 What does a week at BaMidbar look like? To answer- let us show you. Our week begins with Kavanah Group, where participants and staff set goals for the week. Then it is time to pack up and head out on masa (excursions). Weekdays begin with Shmirat Ha’Nefesh, our morning spiritual practice. 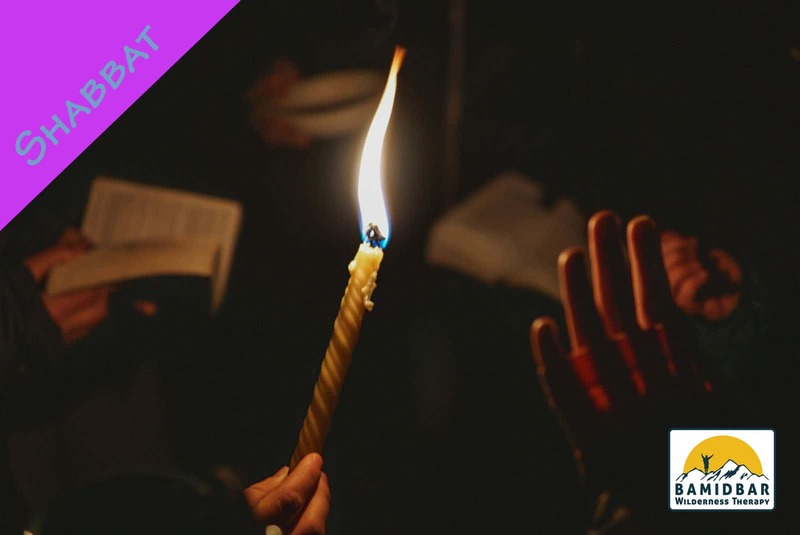 Students explore what spirituality means to them through the lens of mindfulness and meditation, guided journaling, and liturgical-based Jewish prayer. Some students choose to wrap tefillin and say the Amidahdaily, while others explore nontraditional spiritual practices. BaMidbar is dedicated to meeting each student where they are in their unique Jewish journey. 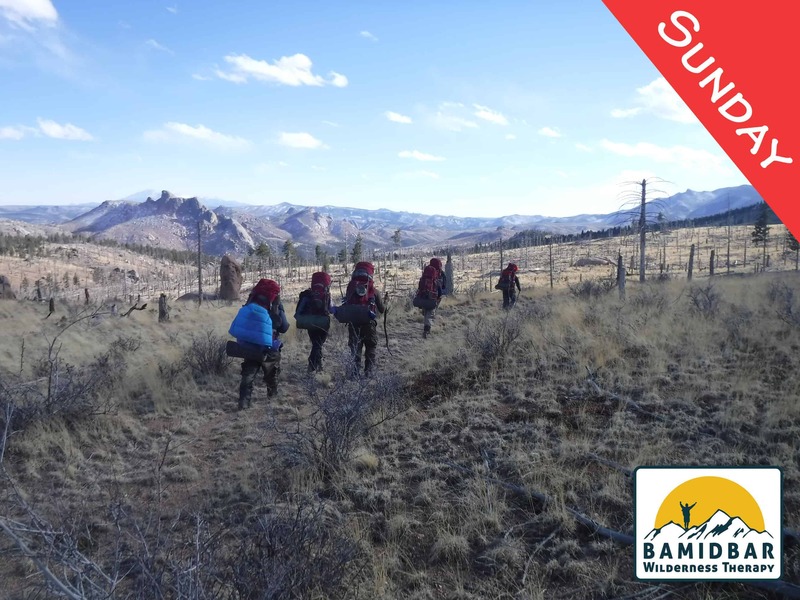 While on masa, students challenge themselves physically, emotionally, and spiritually through adventure activities, primitive skills, growth groups, and therapy assignments. 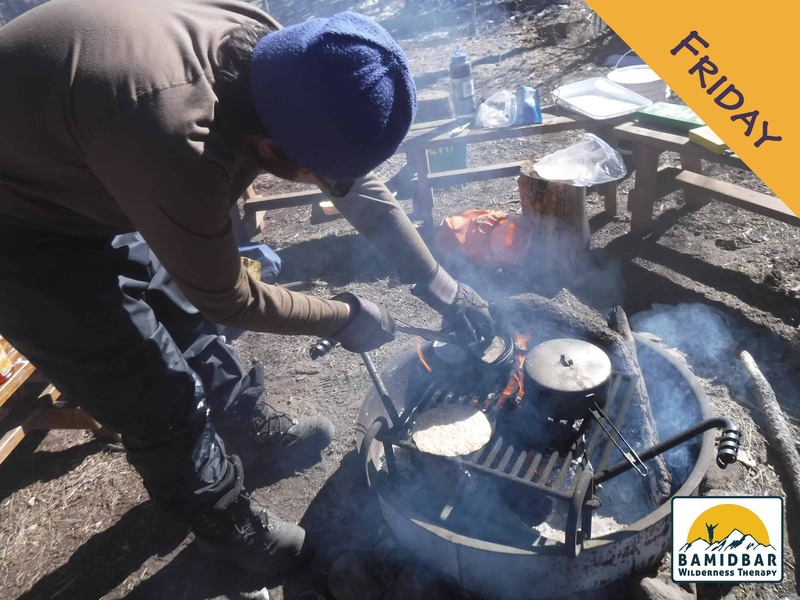 Experiential application of therapeutic concepts facilitates learning and growth in the backcountry. 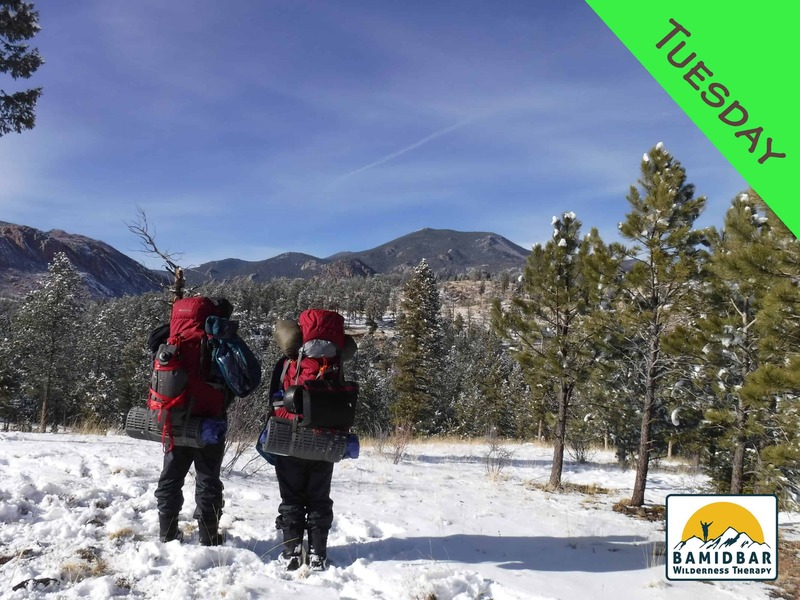 On Wednesday, the group returns from masa. 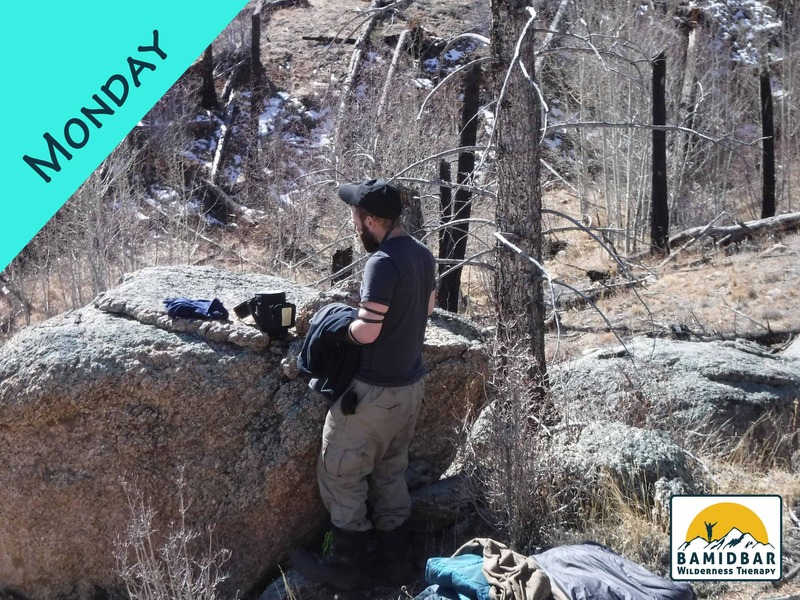 Clinical therapist Nick Magle Haberek leads experiential groups in the greenhouse and facilitates service projects at the ranch. Thursday is a time for reflection. The day begins with Teshuvah Group, a time to check in and ask, “What did I do well this week? 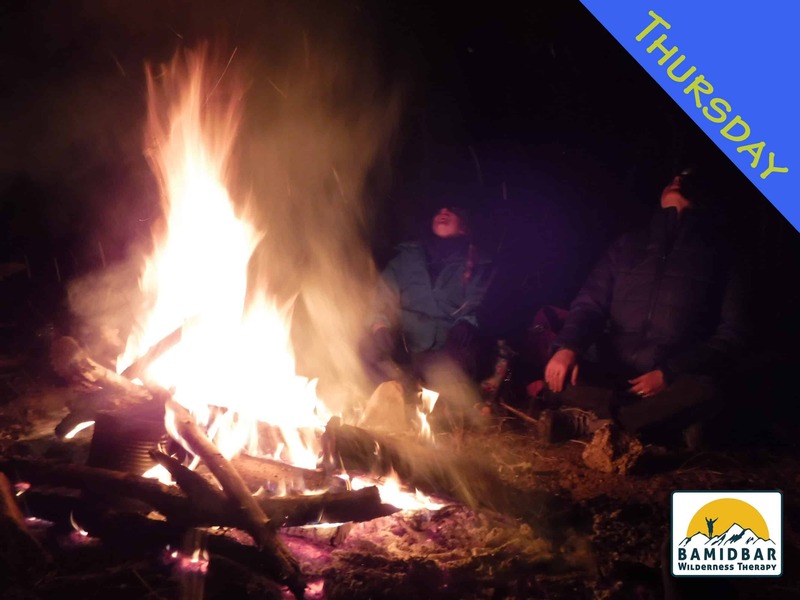 What could I have done better?” Students have individual and group therapy, write letters, go on a day hike, and end the day with a group music session around the fire. take showers, and prepare for a day of rest after a busy week. with songs, tefillot, food, Torah, and games.